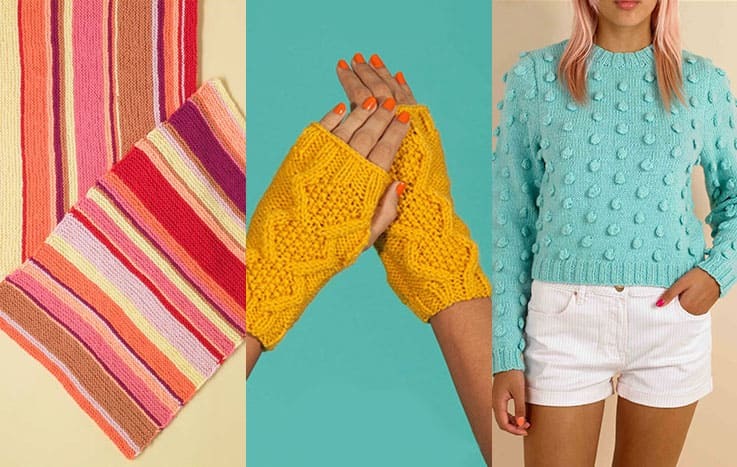 Join the fun and try knitting with your fingers! Finger knitting is perfect for whipping up a fast cowl or scarf, and its large stitches can be a great introduction to knitting structure. 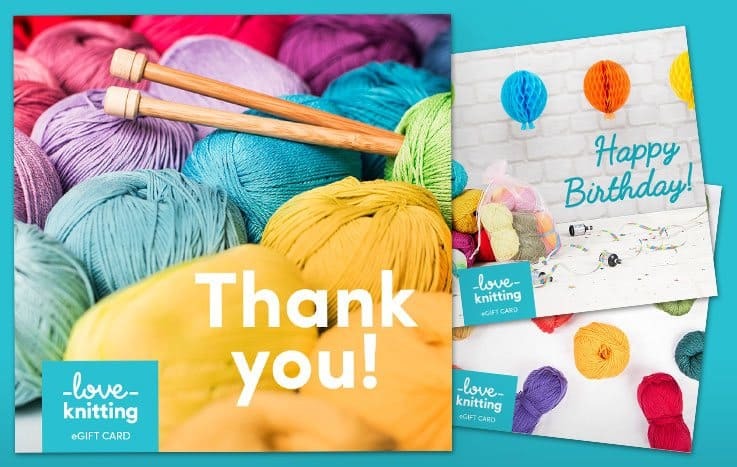 It stands up perfectly well on its own as a craft, but it can serve as an introduction to teaching children to knit, and be a great way to be creative if you are struggling with painful hands and holding needles. For children, Caron 's Finger Knitting Hair Tie is an ideal first project, or the sweet little Finger Knitting Necklaces - both are quick to make and great for school knitting clubs! This Easy Finger Knit Cowl by Lorraine H is a great way to use up chunky yarn from your stash, and we love Lorraine's Finger Knit Lattice Scarf made in Rico Fashion Gigantic Mohair! Lorraine's patterns also include a fabulous bobble bag and matching scarf! 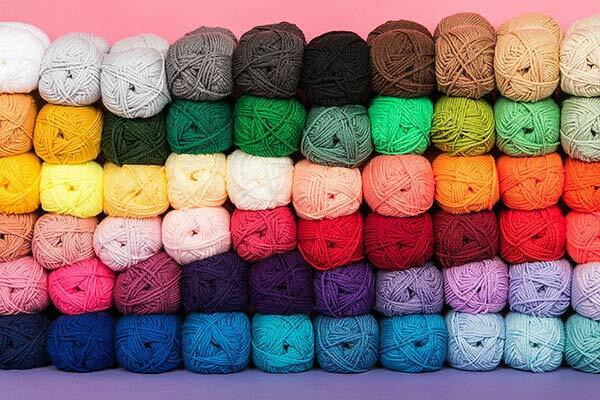 Any yarn will work for finger knitting, but chunky and super chunky yarns are best unless you want a particularly loopy finish, and scarf yarns can add fabulous texture! 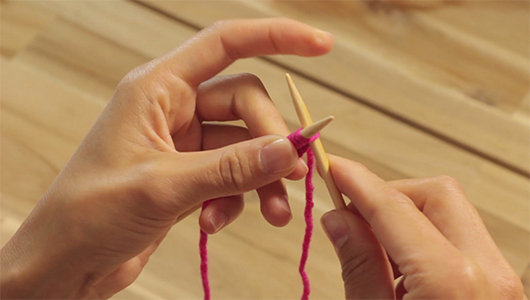 Take the working yarn in your left hand, and wind it around your fingers until there are two loops on each finger. 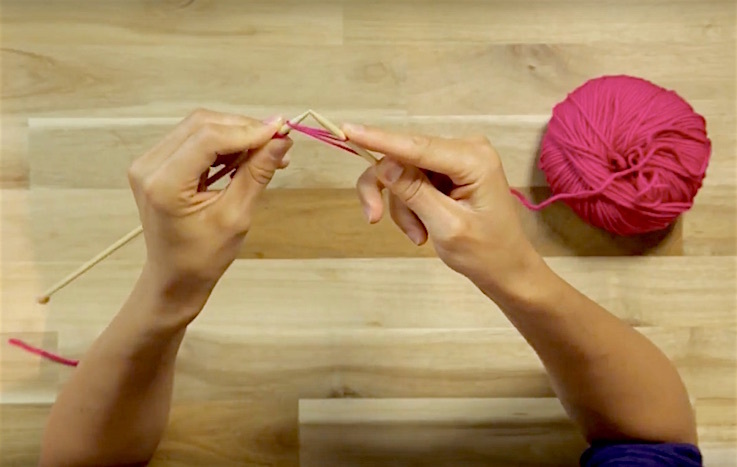 Lift the bottom loop of yarn over the top of the top loop on each finger, and straighten the remaining loops. Wind the working yarn in and out of your fingers again until there are two loops on each finger. Lift the bottom loops over the top loops for each finger, and straighten the remaining loops. 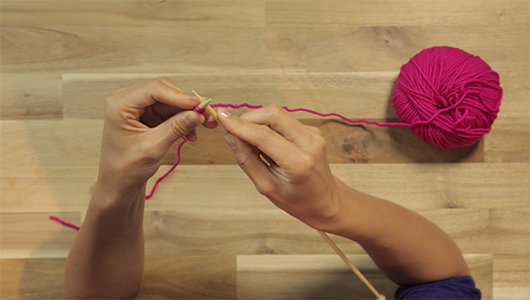 You just mastered finger knitting!